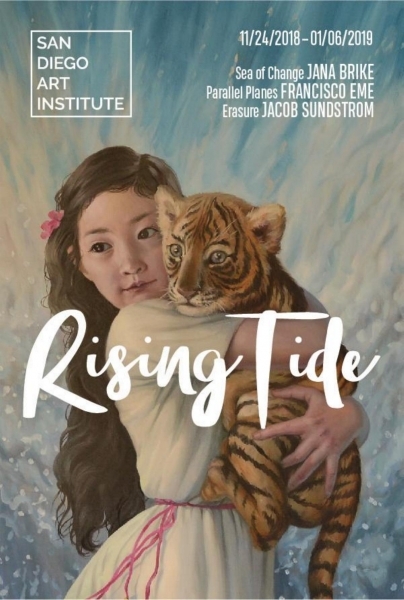 Event Description San Diego Art Institute (SDAI) presents Rising Tide, which will run from November 24, 2018 through January 6, 2019. Curated by San Diego Art Institute�s Deputy Director, Sarah Trujillo-Porter, the multi-media show will feature solo exhibitions by Francisco Eme, Jacob Sundstrom, and Jana Brike. Distinct in vision and style, the works each create immersive environments that evoke stillness and space for contemplation. Whether through interdisciplinary art, sound, or uncanny symbolism, each installation provides a fertile arena in which thoughts can rise to the surface. Opening Night Reception on Friday, November 30th from 6-8 p.m. Member Opening from 5-6 p.m. Event Description Join Meyer Fine Art, Inc. for an amazing collaboration of original art on paper and original art as clothing! SAAS Streetware pop-up of their unique apparel while simultaneous experiencing the surrealistic world of Salvador Dali:The Argillet Collection, a rare ensemble of his original etchings and associated artworks. 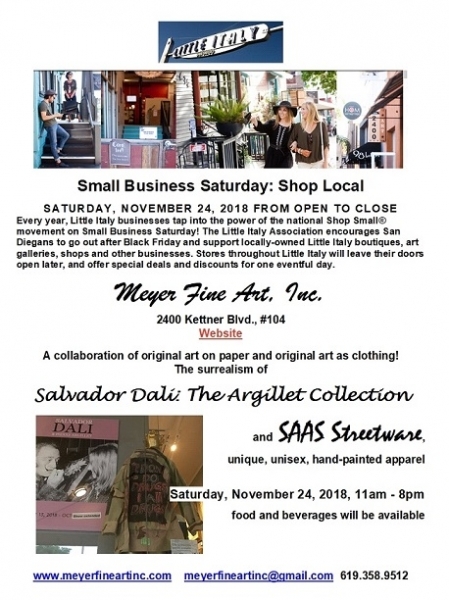 Small Business Saturday, November 24, 2018, from 11:00 am � 8:00 pm; food and beverages will be available.